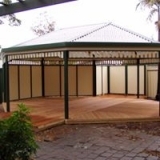 A Gazebo is either a 6 or 8 sided free-standing structure. 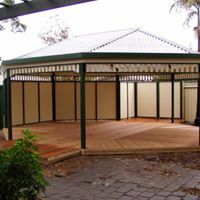 Pro-Form Pergolas can custom build your gazebo in just about any size of style you like, and as with all other Pro-Form structures – the design styles are endless, just check out our photo gallery for inspiration and ideas! 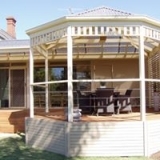 Gazebos often have lattice or balustrade on all but one side to create a sense of privacy and seclusion. Optional built in seating can provide the perfect spot to sit and admire the surrounding garden or views. Leave it plain or add outdoor curtains, cushions and rugs to add character and style to soften the look if you choose. 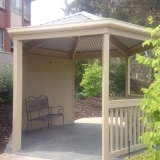 A Gazebo can be a stunning feature or focal point in a large garden or a beautiful structure from which to relax and showcase an amazing view. What ever your plan, you can’t go wrong with a quality custom built Pro-Form Gazebo to add a touch of class to your garden. 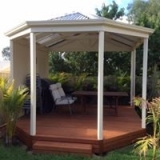 Whether you’re looking to create a beautiful ornamental feature, a cozy nook to just sit and relax under or a larger space to entertain the whole family – Pro-Form Pergolas can build a Gazebo to compliment your lifestyle and your home. 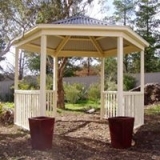 Gazebos in Adelaide are just another way to enjoy the Aussie great outdoors in all kinds of weather. 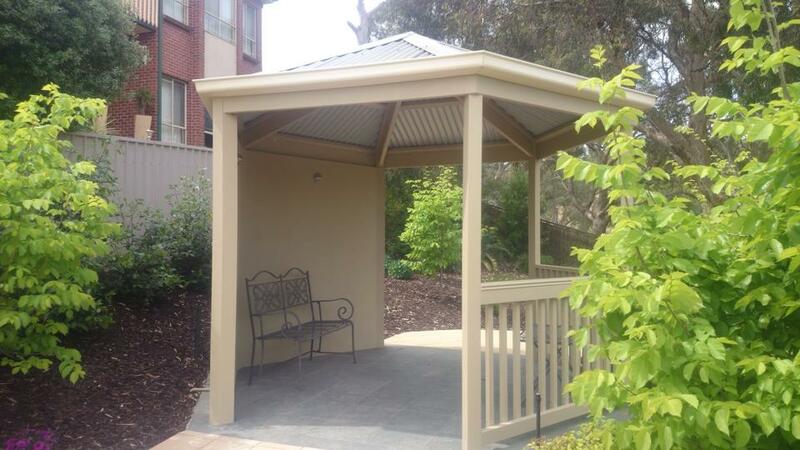 Add style and class to your home and garden with a beautiful custom built Gazebo. 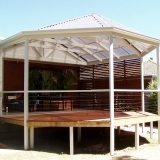 LOOK NO FURTHER THAN PRO-FORM PERGOLAS! With more than 25 years experience in the building industry we are more than happy to offer expert advice, inspiration and great design ideas on what would best suit your home, garden and budget! Enjoy a personalised service, dealing direct with the owner throughout the whole process. Pro-Form Pergolas are fully licenced, insured and proud Master Builders Association members since 2005 – so you can relax knowing you are dealing with an established, professional Company. A 10 year Structural Warranty, plus a Lifetime Warranty against white ants and rot on your Timber gives you further peace of mind. So what are you waiting for? 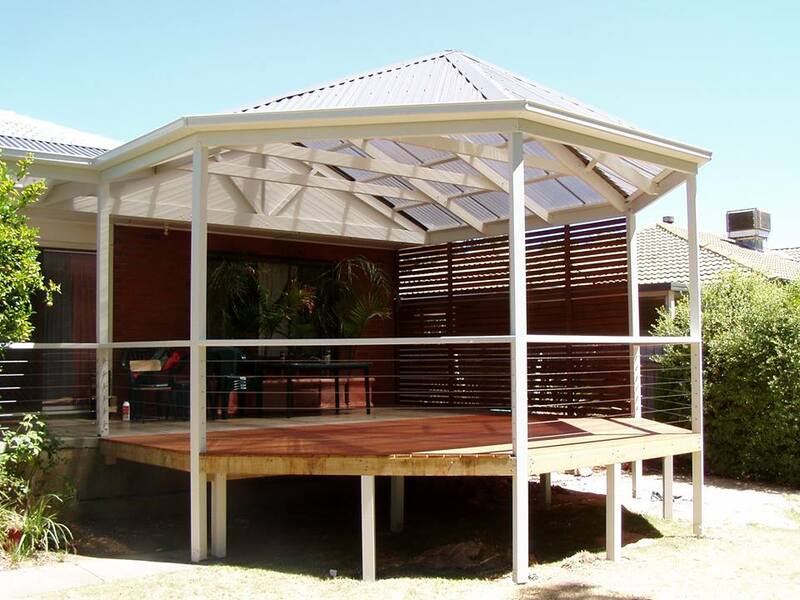 Call Pro-Form Pergolas on 8258 9117 for your free measure and quote – our Mobile Showroom comes to you!